Global technology mega trends such as big data, the internet of things and AI have led to an exponential growth in the demands on data centres. This demand has led to a rise in some cases of overheating issues, with cooling costs increasing to keep pace. With this growth set to continue, traditional, air-cooled data centre infrastructure cannot keep pace and cannot support new business models required. Liquid cooling isn’t new, but the poor scalability and low density of previous liquid cooling technologies have been a barrier to widespread adoption in the data centre. 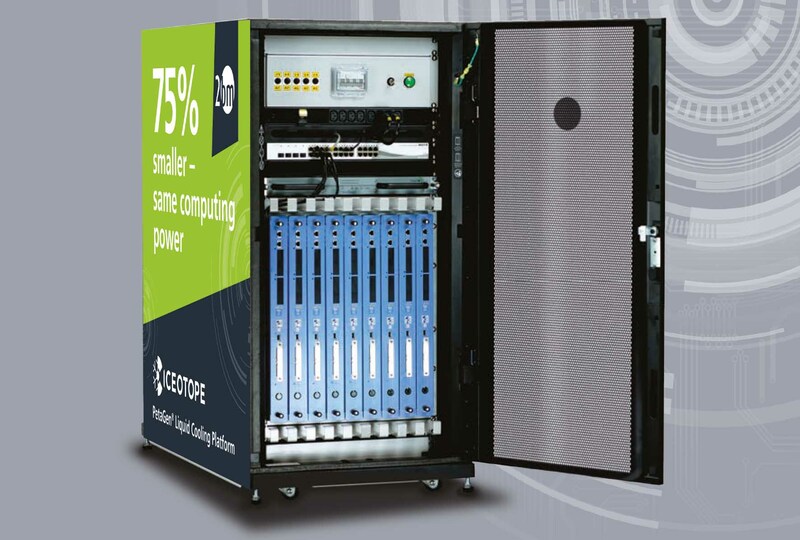 Iceotope’s ku:l sistem overcomes these barriers with technology that is both familiar and innovative and is ready to redefine the way data centre professionals think about cooling. † 1.03 – 1.05 PUE measured in field obtained in other real world Iceotope configurations. PUE verified independently from 1 year of audited data from an Iceotope customer install (i.e. non-optimised). NB: All other numbers presented are validated from head to head trials vs. best in class air cooling for 300kw data centre. Testing conducted by Schneider Electric.